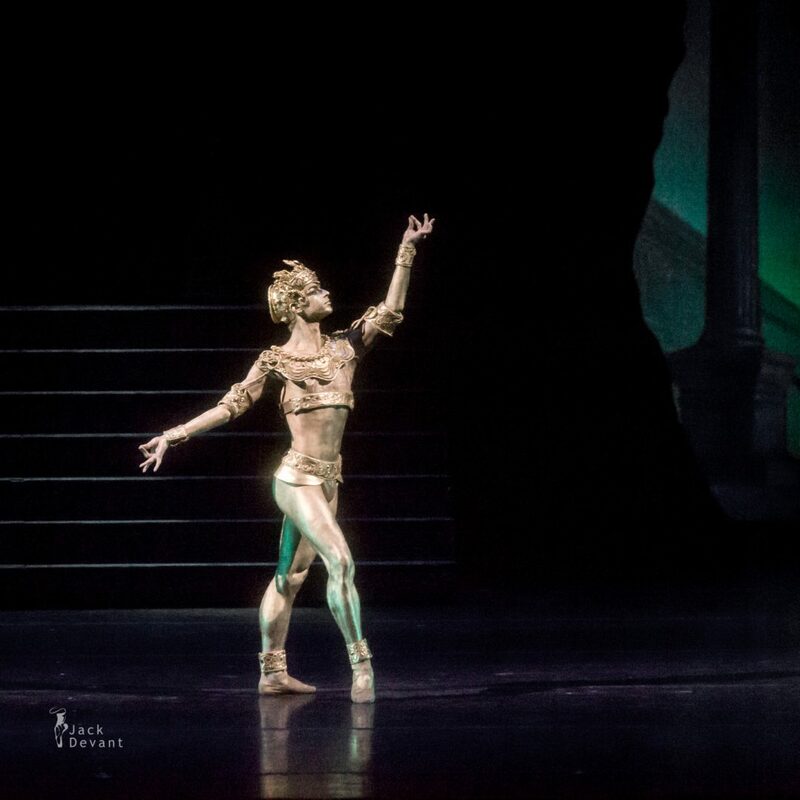 Aleksey Babaev as Golden Idol in La Bayadere, choreography by Natalia Makarova after Marius Petipa, music by Ludwig Minkus. Shot on 19.12.2014 in Stanislavsky Theatre, Moscow. Aleksey Babaev (Rus. 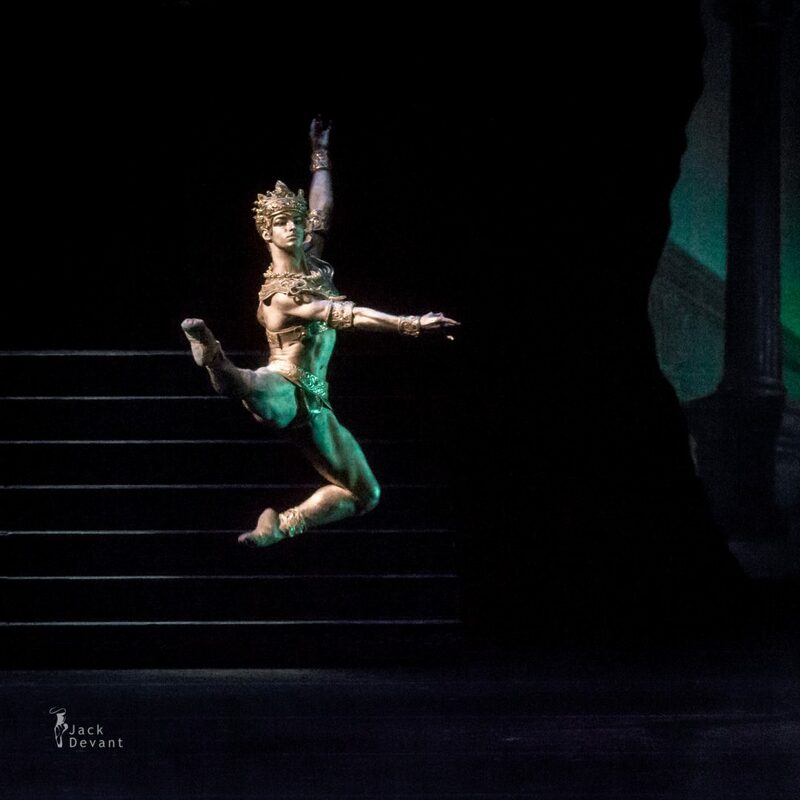 Алексей Бабаев) dancer with Stanislavsky Ballet. Alex was born in Moscow, but when he was 11 month old he moved to America with his parents. 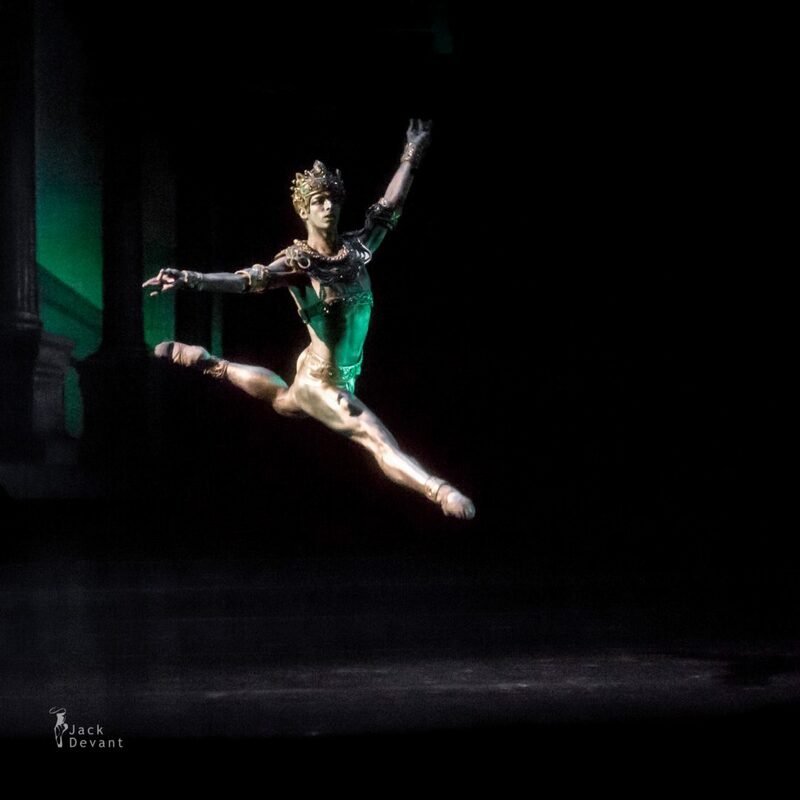 He received he’s training at Academy of Int’l Ballet, PA and but graduated from Kirov Ballet Academy in Washington DC. For one year he was with Pennsylvania Ballet, and then he went to Russia and joined Stanislavsky Ballet. The Golden Idol, (also called “Bronze Idol” and “Little God”), is an incredibly demanding men’s variation. 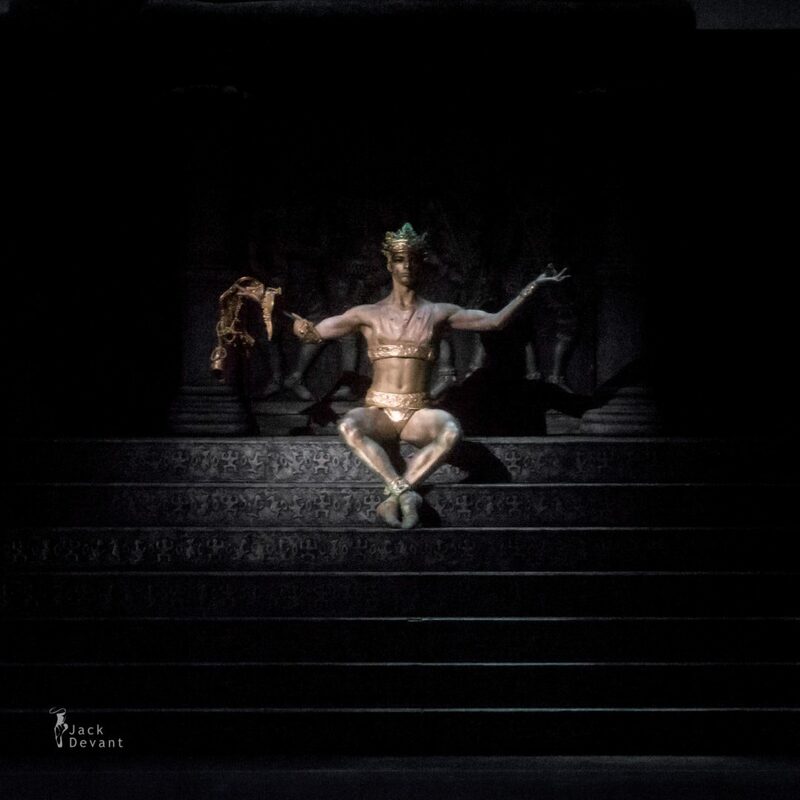 Dressed only in a dance belt and headpiece, the dancer paints his entire body gold for this variation. The Bronze Idol was not part of the original Bayadère. It was first performed in 1948 by its choreographer Nikolai Zubkovsky. 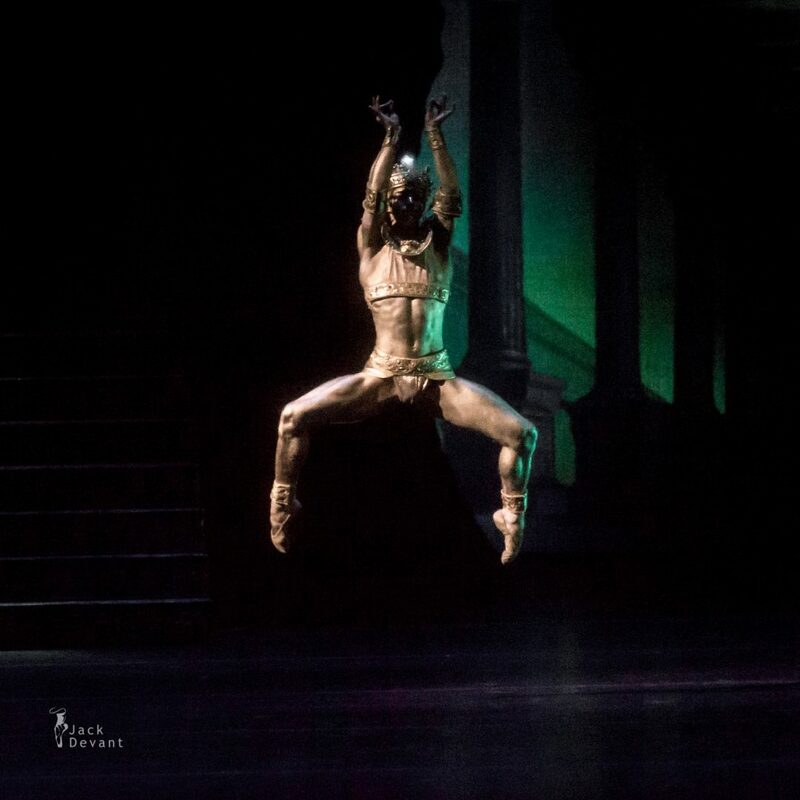 If all four acts of the ballet are being performed the Bronze Idol is performed at the beginning of the Fourth act.